Dave Allen joined the Beaufort Group in 2014 as an Integration Specialist. Working closely with advisers, principals and managers, Dave brings best practice technology to financial planning and administrative processes. Highly creative, innovative and passionate, Dave uses cutting-edge financial technology to discover creative ways to assist organisations focus on delivery and operational excellence and growth. Dave brings a wealth of knowledge to the role having worked for multiple adviser networks over the last 20 years. Prior to the Beaufort Group, Dave worked for Sage Financial where he was the implementation manager responsible for organisational change management, process configuration mapping, workflow analysis, project management systems, selection and deployment. 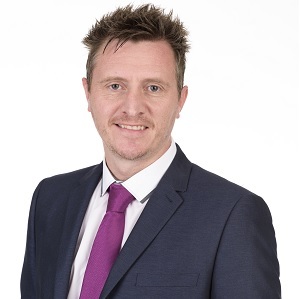 Dave also previously worked for Millfield Solutions as the Operations Manager, where he developed projects to improve the workplace culture to drive improved team performance and build staff morale. Prior to Millfield Solutions, Dave worked for a start-up company, Clients Reunited, developing implementation strategies to drive improved planning across the business. Outside of work Dave enjoys a good Netflix ‘binge’ but can also be found on long bike rides and out walking on hilly country roads and national parks.